PLEASE NOTE that floor pricing is an ESTIMATION and ships via freight shipping. 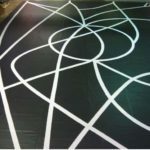 When you place an order with a floor, we will confirm pricing with the manufacturer and calculate the shipping based on your shipping address. If you want to wait for a formal quote before paying, please check out using the Quote Only payment method and we will send you the finalized pricing via email.